Przewalski’s horses are wild, ancestral cousins of domesticated horses, yet the family tree dates farther back than you might expect. These classifications started traveling down different evolutionary paths about 45,000 years ago, according to a new study published in Current Biology. 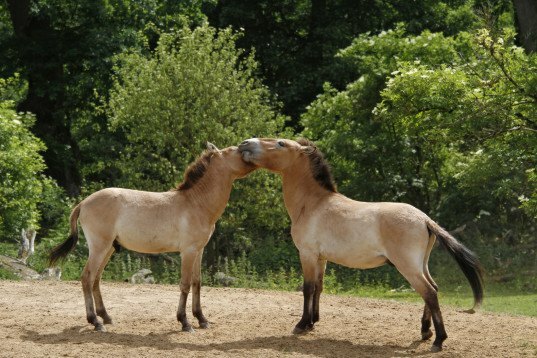 Przewalski’s differ on many biological levels - including the fact they have a different number of chromosomes than domesticated breeds - yet are still considered the same species as they can successfully reproduce with domesticated equines. 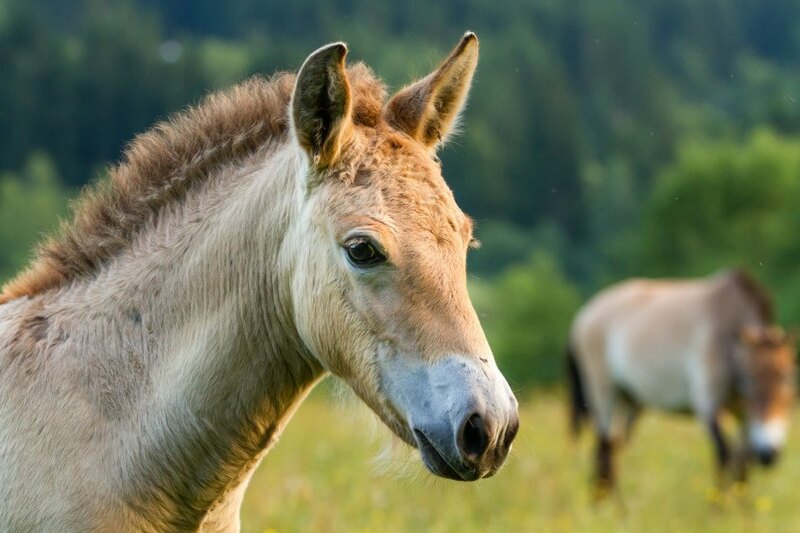 The study reveals quite a bit about the last known descendants of wild horses alive today, giving us a glimpse at their prehistoric predecessors. Experts have disagreed about whether to classify Przewalski’s as a different species for years. The team leading the current study examined the genomes of 11 wild horses, including living subjects and museum specimens more than a century old. They then compared their DNA to that of 28 domesticated horses – first domesticated around 5,000 years ago, according to fossil findings – and found some intriguing genetic differences regarding metabolism, cardiac disorders, muscle contraction, reproduction, and neurological pathways. Observation of living Przewalski’s also demonstrates the stark differences in demeanor (the wild equines are rather aggressive and have not been able to be domesticated) and appearance. 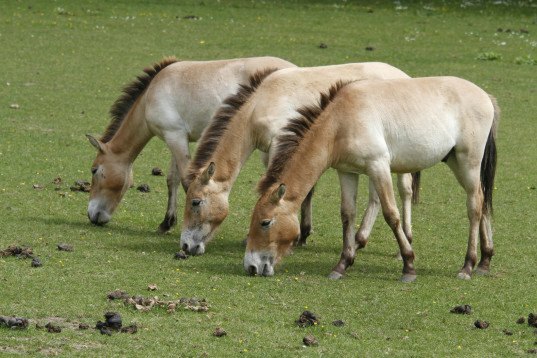 Currently, there are only 2,000 living Przewalski’s horses on Earth, as far as we know. They were initially discovered in the late 1800s in Mongolia by Russian explorer Colonel Przhevalsky, yet the intrigue that followed led to many being taken into captivity. Many of the animals did not survive the trek, some died in zoos as a result of bombings related to wars in the region, and even more went extinct from the area due to habitat degradation and hunting practices. A small number of Przewalski’s horses were introduced into Mongolia in 2004 and more are living in fenced-off reserves, with minimal human interaction. The aforementioned study has hopes of being able to assist in the proliferation of the current population. Ludovic Ontario of the University of Copenhagen’s Natural History Museum of Denmark explains, “Now that we have whole genomes, we can quantify which genes have accumulated deleterious mutations and can try to favor lineages devoid of such mutations.” Here’s to hope these beauties will still be around for future generations to see and appreciate. Dont let US Dept of Interior's Bureau of Land Management get a hold of them...they will kill them all. Experts have disagreed about whether to classify Przewalski’s as a different species for years. The team leading the current study examined the genomes of 11 wild horses, including living subjects and museum specimens more than a century old. They then compared their DNA to that of 28 domesticated horses - first domesticated around 5,000 years ago, according to fossil findings - and found some intriguing genetic differences regarding metabolism, cardiac disorders, muscle contraction, reproduction, and neurological pathways. Observation of living Przewalski’s also demonstrates the stark differences in demeanor (the wild equines are rather aggressive and have not been able to be domesticated) and appearance. A small number of Przewalski’s horses were introduced into Mongolia in 2004 and more are living in fenced-off reserves, with minimal human interaction. The aforementioned study has hopes of being able to assist in the proliferation of the current population. Ludovic Ontario of the University of Copenhagen’s Natural History Museum of Denmark explains, "Now that we have whole genomes, we can quantify which genes have accumulated deleterious mutations and can try to favor lineages devoid of such mutations.” Here’s to hope that these beauties will still be around for future generations to see and appreciate.